When you have a chronic illness, it's pretty common to get a lot of advice on how to feel better - whether you ask for it, or not. 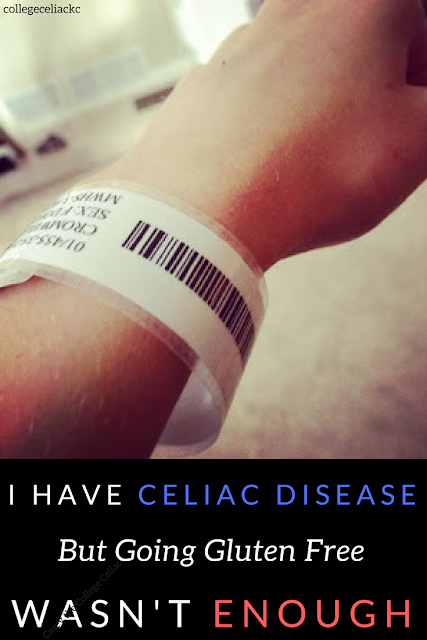 Living with celiac disease is no exception. I've been told stories about relatives with celiac disease healed through prayer. I've heard I can only thrive with celiac disease if I eat no grains, only soaked and sprouted grains or only nutritious whole foods. And when celiac left me quite underweight, even strangers gave suggestions of what I should or shouldn't eat. Most of the time, this advice comes from a very kind and well-intentioned place. But that doesn't mean it's not frustrating - especially if the advice is not nearly as helpful as the speaker believes. That's why I thought it would be interesting to reflect on six things people with celiac disease really need waaaay more than advice! If you have celiac disease and are getting suuuuper tired of relatives' suggested "cures," I hope this post lets you feel less alone - and reminds you of people in your life who actually give you everything you need. And if you know someone with celiac disease and often find yourself giving advice...maybe this post will help you discover even better ways to help them thrive. 1. Understanding when we turn down dinner invitations or take forever to talk to the waiter about our gluten free meal. Like I've written about before, we're not trying to be high maintenance when we take forever to talk about a restaurant's gluten free protocol or ask to speak to the manager before ordering our meal. We're also not being rude if we turn down an invitation to eat out. Sure, I'm super grateful when friends offer to go to a restaurant with gluten free options so I can dine with them. I'm also not afraid to call ahead and ask to bring my own food to a restaurant that can't serve me safely, or eat ahead of time and just enjoy the company. However, sometimes, I just don't feel like going out to be surrounded by a bunch of food I can't eat...and it means the world to me when friends understand and just ask to hang out another time! And I've talked to many other celiacs who feel the exact same way. 2. Time to recover when we do get glutened - and forgiveness if we have to cancel plans. I'm fortunate to say that I can't remember the last time I was majorly glutened. However, when it does happen, the side effects are anything but fun...and our recovery is a lot easier when we can cancel plans without worrying about letting people down. Everyone's reaction to gluten is different, and everyone will need a different amount of time to recover from being glutened. So the number-one thing you can do if a loved one with celiac disease gets glutened is ask what they need and be flexible with your plans! Sure, maybe y'all can't go on that epic 8-mile hike you planned...but that doesn't mean you can't watch Netflix together on the couch or get together for a delicious (and celiac-safe) homecooked meal. And even if we'd prefer to just sleep our way through being glutened and catch up on plans later, know that your offer to help is still majorly appreciated. 3. Greater awareness that our dietary limitations are not a fad or fodder for jokes. I try to keep my blog and social media accounts positive and focus on the bright side of life with celiac disease (like all the ways going gluten free has made my life waaaay better). However, it's impossible to ignore the fact that we still have a loooong way to go before the average person on the street is educated and aware of celiac disease. Honestly, raising celiac awareness and connecting with people going through the same struggles and victories as me is the main reason I blog. 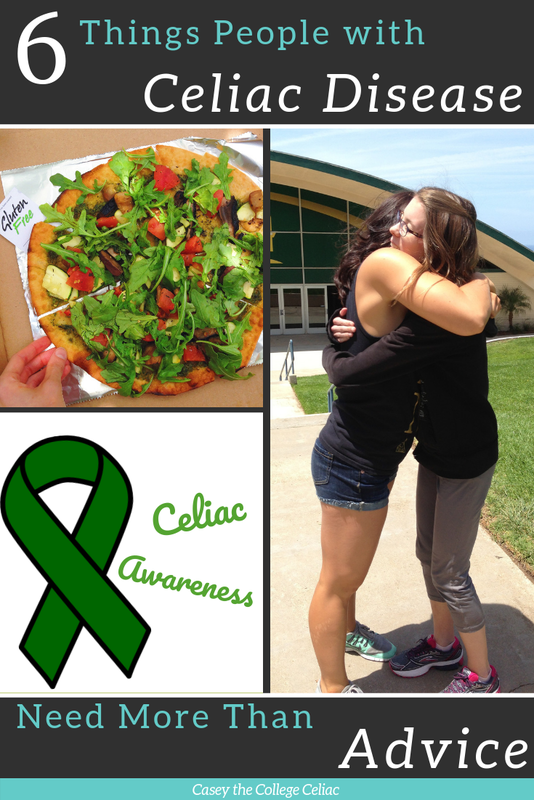 But here's the awesome news: anyone can help raise celiac awareness in suuuuper small ways. The next time a co-worker or a friend says gluten free options are "dumb" or "just diet food," remind them that people with celiac disease actually need to eat gluten free to survive. If you hear someone making fun of dietary restrictions or gluten free eaters, tell them their joke isn't actually that funny and move the conversation along. And if you hear someone ask what "the gluten free diet is all about anyway...", don't be afraid to give a short answer! This doesn't mean that you have to turn into a celiac superhero who advocates for the gluten free community every chance you get. But if an opportunity arises and you feel comfortable stepping in...do it. The 3+ million Americans with celiac disease will thank you! 4. More gluten free options...that are actually tasty and celiac safe! One of my favorite parts about following gluten free bloggers like Erica from Celiac and the Beast or Taylor at Hale Life is that they always seem to have alllll the dirty details about new gluten free products. And when I first heard about Schar’s new gluten free puff pastry or Quinn Snack’s gluten free peanut butter pretzels or Canyon Bakehouse’s gluten free English muffins...I squealed, jumped up and down and immediately texted the good news to my gluten free mom. 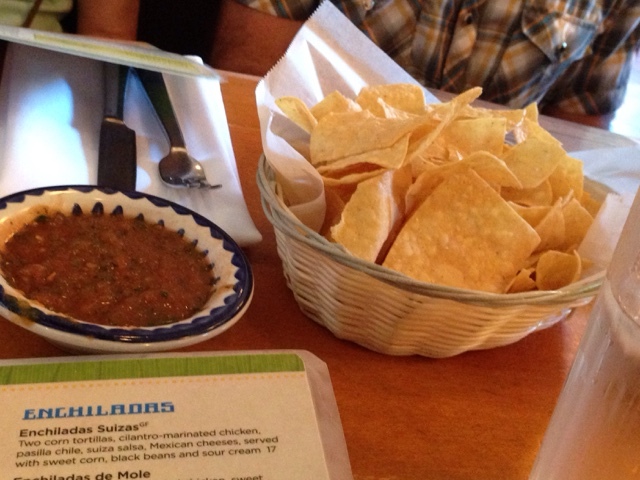 ‘Cause, yeah, I feel super fortunate with how many gluten free options there are nowadays. But there is always room for improvement. 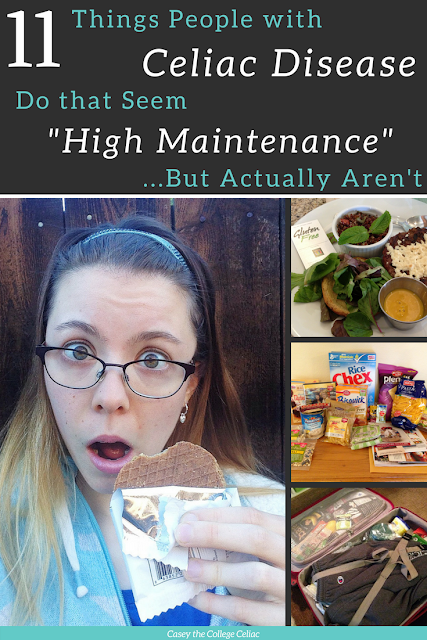 And especially as someone who was diagnosed with celiac disease as a teen, I can say that having access to gluten free alternatives to “normal” foods or old favorites makes life with celiac disease so much easier. So if you see a loved one with celiac disease fangirling over new gluten free products or a new gluten free, celiac-safe restaurant, know they're happy about more than the food. They're happy about having part of their old life back. And if you have celiac disease and feel a little silly getting teary-eyed over a delicious gluten free cookie...know that you ain't alone! 5. Less judgment and more fact-checking in many celiac support groups. During my journey with celiac disease, there have been times when online support groups helped me learn about delicious gluten free alternatives or safe places to eat. It's also really helpful to be able to post about being glutened or having people not understand your "special diet," and have people respond, "Been there, done that! So get what you're going through!" Nowadays, though, misinformation and judgment can be about as common in online gluten free support groups as gluten in a traditional pizza parlor. Need some examples? I’ve seen people posting about all grains being “poison” to people with celiac disease or that envelopes contain gluten (this is a myth and not true). I’ve seen waaaaaay too many questions that should really be sent to a doctor, not posted for people on the internet. And many posts featuring processed gluten free foods (like corn dogs or freezer meals or cakes) have at least a few comments about how unhealthy those foods are and why people should never include them in their diet. But here's the thing about eating a gluten free diet - or, heck, eating any diet: everyone thrives on different foods. As I've written about before, people can eat a gluten free diet in so many different ways, like by eating more plant-based foods or by eating paleo or by eating more processed foods. As long as people are eating in a way that's safe and healthy and satisfying to them (celiacs who cheat on a gluten free diet is a whoooole other topic to tackle), I say, "Good for them!" And I hope that in the future, gluten free and celiac support groups offer more encouragement and (accurate) information than judgment or criticism for not living and eating gluten free in a certain "right" way. A few weeks ago, I was talking with my boyfriend when he asked me: "If they invented some drug and you could suddenly eat gluten again...would you?" And even though that was not the first time I heard that question, I didn't have an easy answer. At this point in my life, I don't think I'd ever go back to eating gluten all the time. But one thing I really do want is protection against cross-contamination, and for my children (if I have any...and if they inherit celiac disease from me) to have fewer worries and more freedom with their food. And I know that many people in the gluten free community are equally torn but also excited at the prospect of progress in celiac disease treatments - or even a cure. 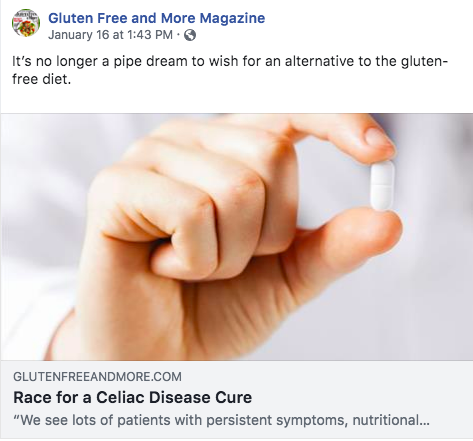 Which is why articles about therapies that could help people with celiac disease tolerate gluten again - like this one or this one - are blowin' up on my blog's Facebook page! So if you hear a loved one with celiac disease getting excited about the prospect of a vaccine, get excited with them! And until a new "cure" to celiac disease is available...help us thrive on the only "treatment" we have right now: a gluten free diet. Seeing a loved one suffer or struggle is not easy. So when you see someone with celiac disease not thriving on a gluten free diet (like I initially didn't) or struggling to deal with the social aspects of eating gluten free, it's a natural instinct to offer them advice on how to feel better or live more happily. And, yes, sometimes this advice is helpful - even life-changing! However, at least in my experience, I'm not looking for loved ones to "solve" my celiac disease. At least for now, celiac disease is a chronic, lifelong condition. And beyond that, everyone's body is different, so a diet or exercise routine or *insert any other piece of life-changing advice here* may work wonders for one person...but do nada for the next. And I can say from experience. Even giving us one of those things is soooooo much more powerful and helpful than hours of advice will ever be. 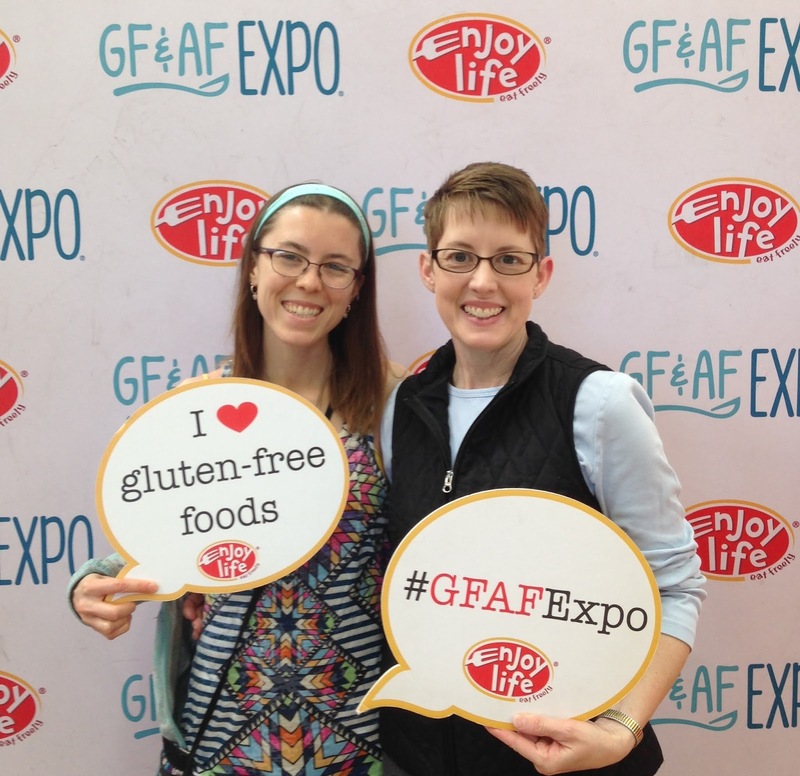 What's one way someone has helped you thrive with celiac disease? Or what's one piece of "advice" about your health that you'd be happy to never hear again? Tell me in the comments! Good post, as always. I personally need to work on being more assertive so that I can go to restaurants, rather than staying home to avoid the negotiations. BTW, I love that photo of you and (I assume) your family! That's a keeper.